Any professional examination of existing or potential new toxins in a population must account for those already present from past problems and natural conditions. 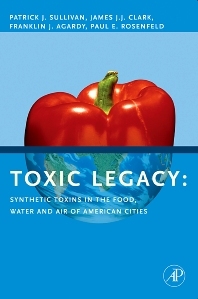 Toxic Legacy provides extensive information on the occurrence of chemical hazards and their potential dangers in combinations in the food, water and air in cities around the United States. The book illustrates consumer preferences for specific food and water products, as well as particular diets and discusses the toxicity and risks associated with our exposure to synthetic chemicals. The authors offer unique guidance to environmental engineers, scientists, process engineers, and planners and specify what steps can be taken to limit exposure to complex chemical mixtures. 7.1 WHAT IS SAFE DRINKING WATER? 9.9 WHAT DOSE IS SAFE? Principal Geochemist, Komex · H2O · Science, Inc.